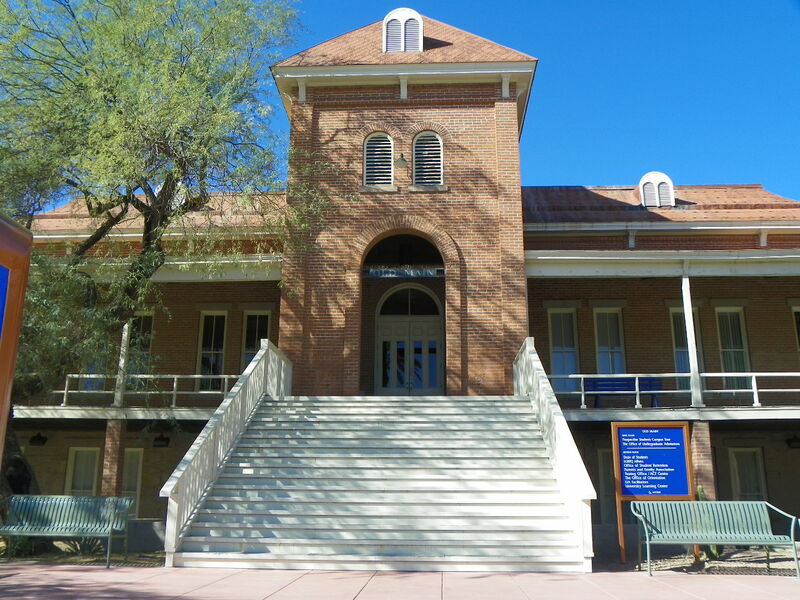 Old Main, the first erected building of the original Territorial University of Arizona College of Mines, is located on the original site of a ancient Indian village dating back well over 10,000 years. One of the workman who supervised its construction was a man named Carlos Maldenado, who lived in Tucson from 1841 until his death in 1888. Although he may be gone now in body, he is far from forgotten and many believe that his spirit still continues to live on. Carlos Maldenado came up to Tucson in the summer of 1841 from Sonora Mexico on the afternoon stagecoach and was already famous both as a Sonoran businessman and professional gambler. His talents however also included those of construction management. Carlos took a very keen personal interest in the building of the University's first structure, the idea of a university education, and was even known to stay in the unfinished building overnight on many occasions talking with local Indians who would stop by to see the big construction event 'way out in the desert so far away from town' that it was in 1888. Another more important reason Carlos was said to often had stayed in the unfinished building that still had no doors or windows in it at the time, was that some very disgruntled Tucson citizens were still upset at having lost out on again being the territorial capital city, and also not getting the lucrative 'Arizona Asylum For The Insane' which went to Phoenix instead. The rumor had it in more than a few circles at some of the popular saloons located in the Congress Street area in downtown Tucson, that plans were secretly being talked about to burn the building to the ground late one night under the cover of the deserts darkness. One morning as the workers arrived on their horses and in the wagons, they noticed as usual that Mr. Maldenado's wagon and horse were already tied to the hitching post outside of the unfinished building. The loud rough burly workers yelled out Carlos's name but there was no answer back. Curious, the workers found the 1st floor to be empty, so they next went up to the unfinished 2nd floor where a hot eerie morning breeze was blowing through the large structure. Carlos Maldenado who was known all over town to have a real sense of humor and the player of numerous practical jokes on others was seen sitting quietly in a wooden chair with his back facing the workers. Figuring that it was just yet another of Carlos's long line of many practical jokes, the men creeped very slowly up behind their boss in the chair, and then suddenly let out a roaring chorus of "Ya-Hoo's and Ye-Haw's" to scare Carlos. Seemingly true to the real joker that he was Maldenado did not move. 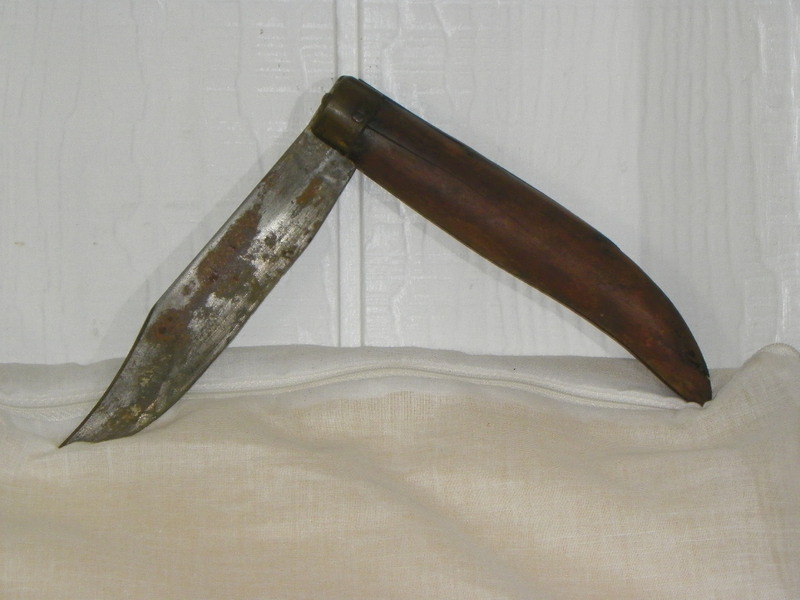 As the men then walked around to talk to him, they instantly saw it......A very large buffalo skinners knife was sticking deep into Carlos Maldenado's throat and had cut an artery. All down the front of the dead mans clothes was saturated in the eerie unmistakable crimson red color and smells of dried and still wet human blood. 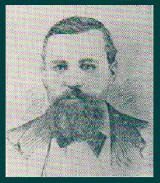 Sheriff Mathew F. Shaw (the brother of the last Tucson Sheriff Eugene O. Shaw who had somewhat mysteriously left town suddenly in April of that same year for 'health reasons' however then showed up 3 months later in Faison, North Carolina and only then telegraphed his resignation in) came out to investigate. Not wanting to alarm the townspeople, the sheriff first ruled the death as a heart attack, but the workers let him know that they would have no part of hiding what had happened to their beloved boss, and that they would tell all of the town what they had seen when arriving at work that morning. It was believed that Carlos had attempted to scare off some very desperate local men who were mirroring the towns lingering less than happy sentiments of getting just a college structure instead of Tucson remaining the state's capital, who had come to burn the unfinished building down. Although the tracks of horses hoofs were followed right to the back door of a Congress Street Saloon known for its 'less than upstanding cliental' not one person was ever arrested or charged with the crime and it remains a mystery to this very day. 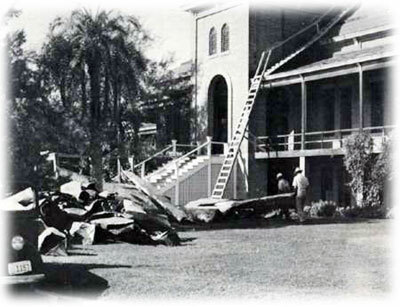 Years after the murder of Carlos Maldenado in 1938, the Old Main building was declared to be unsafe by local Tucson officials and was abandoned. Many years of neglect had taken their toll on the original building, termites nearly destroyed some wooden structural beams as well as the ancient timbers that were used up in the ceilings. The majestic building silently remained closed up as the gathering desert dust soon blanketed every square inch of its interior areas. Then one morning at 7:30AM in 1941 the Japanese attack at Pearl Harbor in Hawaii, and the U.S. entrance into World War 2 saved and suddenly saw the Old Main building pushed into service for training military officers after some rather extensive remodeling with funding paid entirely by the United States War Department in Washington D.C.
Not long after the renovations were started, workers reported that they saw the head and shoulders of a Mexican man floating up in the air in the various rooms being worked on. Although the rooms were dark due to the old electrical system being torn out, workers got a good look at the phantom ghostly figure and later identified the ghost as that of Carlos Maldenado from a photo of the man taken at a social event in 1883. After that incident, witnesses have also reported this same spirits apparition at Old Main on many other occasions. At one time, a University Regent and a female office clerk spotted the ghostly apparition standing in a doorway. The ghost reportedly looked straight at both of them and then suddenly vanished. Students, office workers, and faculty still regularly report seeing the shadowy form of a man at Old Main. The ghost of Carlos Maldenado, it seems was not pleased with the state of the deteriorated building in 1938, but by December 7, 1941 and later all the subsequent renovation projects at Old Main somewhat changed the ghosts demeanor. Maldenado's ghost had put in some appearances after his death, but when the first renovations began on the Old main building it became even more active. Possibly the ghostly spirit of Carlos Maldenado is still merely trying to show his pleasure ... from the other side of still unknown dimensions!